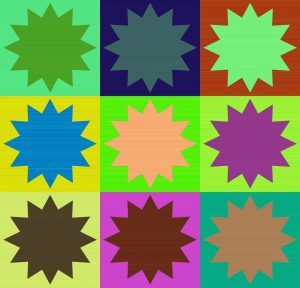 Translating the introductory clauses of Spanish contracts into English can be confusing — a bit like trying to fit square pegs into round holes, particularly if you rely solely on bilingual resources. This is because the starts of Spanish and English contracts differ, both in form and content (i.e., the structure and the information contained). To further muddy the waters, the headings and sections in the introduction can differ from one Spanish contract to another. The information contained in them varies, and sometimes you find one heading; other times, two. Which English translations should you use in each case? Should you use the same translations all the time, even when the Spanish varies? This post tries to answer both these questions. But first let’s look at the root of the problem — how the starts of Spanish and English contracts differ — in more detail. 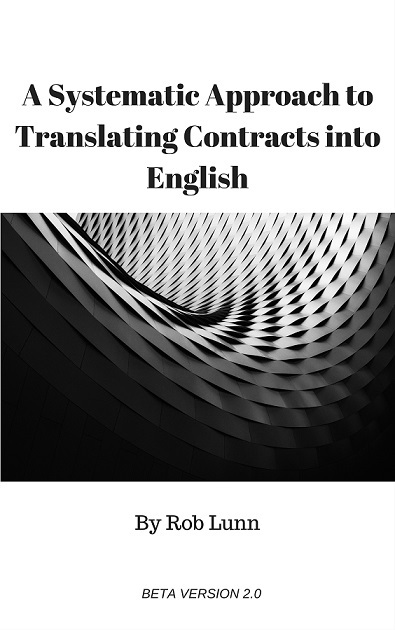 While English contracts only mention the parties to the contract in the introductory clause, Spanish contracts state the parties and the people signing the contract for them — their representatives or agents. Spanish contracts also provide information on these agents, both personal details information (e.g., address, ID number and company registration number) and the grounds on which they can act on behalf of the parties (e.g., power of attorney or powers granted by a company resolution). In English contracts, the agent is implicitly whoever signs the contract on behalf of the party, which may, of course, be the same person. You don’t usually find any mention of the agents in the introductory clause. You also find far less details on the parties, usually just their names and maybe their addresses. Even when the party and the representative are one and the same in Spanish contracts, the introductory clause usually puts the agent side of things first. I.e., it first tells you who is appearing and signing the document and then tells you that they are representing themselves — doing this either in one section under one heading or in two under two headings, just as occurs when the party and representative are different persons. Either by custom or regulation, in Spanish you always find an explicit reference to the representatives in the introductory clause that you don’t find in English. Article 1258 of the Spanish Civil Code states that parties must be represented by agents authorised to act on their behalf. So maybe this is the impetus for always making such a statement in contracts. Artículo 1259. Ninguno puede contratar a nombre de otro sin estar por éste autorizado o sin que tenga por la ley su representación legal. El contrato celebrado a nombre de otro por quien no tenga su autorización o representación legal será nulo, a no ser que lo ratifique la persona a cuyo nombre se otorgue antes de ser revocado por la otra parte contratante. In any case, the introductory clauses of Spanish contracts have more information and structure (i.e., headings and paragraphs) than English contracts. How do we deal with these elements in translation? Given that contracts in English don’t usually state the agents in the introductory clause, if you were translating the contract very functionally, you might decide to leave out any reference to them at the start of the contract. However, in usual translation scenarios, you probably wouldn’t choose this option. First, because it will often mean leaving out information contained in the source contract (details on the agents and their powers of representation). Second, because you’d obscure the view of how the document operates and exists in the source system — usually an underlying aim if no-one briefs you to the contrary. Of course, if a client wants you to adapt the contract for another legal system, then you might want to get rid of paragraphs and information not needed in the target system. However, this is not the usual situation faced by translators. So we would just about always keep these bits in our translation. 1. Reunidos, usually, but you also find things like Las partes. The representatives signing the contract. 2. Intervienen (or versions of this like Intevención y capacidad). Who the representatives are signing on behalf of (i.e., the parties). The Reunidos section introduces the agents of the parties and gives their details. Even when this first section has a heading like Las partes, the representatives are usually stated; not the parties to the contract. Who the agents are representing and their details come in the Intervienen section. In this second section, you also usually find details on the legal instruments enabling representation (e.g., power or attorney or notarial certificate of incorporation). If you get just one heading, it will usually be Reunidos, although it could be something like Reunidos-intervienen. In this case, all the above information comes in one section, usually in the same order as above. Even with one heading, the two sets of details may come in separate paragraphs. And even when the parties are representing themselves, you often still get two sections or paragraphs. The whole section is usually phrased from the point of view of the agents, not the parties. In other words, the agents are introduced first, and then the parties are introduced as the persons being represented. This focus differs to in English contracts in which the contract is clearly between and all about the parties. You have a couple of options for translating the introductory titles and sections. The content in these sections are usually straightforward enough to translate. However, you don’t want to use misleading equivalent headings. You avoid this trap by understanding what is happening in the sections and keeping in mind that you aren’t compelled to use any set or correct heading given that in English the sections are different. The functionally equivalent option is to use something you typically find in English contracts, like “Between + And” to introduce the parties, with “Between” as a translation for Reunidos and “And” being inserted prior to the introduction of the second party. Notice I said “party”. This is the key to using this option: try to always introduce the parties with it; not the representatives. If you automatically translate Reunidos as “Between”, you may make the representatives look like the parties as this is what “Between + And” usually introduce in English contracts. Thus, this option works well when there is only one heading (Reunidos) before the recitals or there are two sections but the first section contains the parties and the second, the agents (not usually the case). It also works well when the parties are representing themselves, regardless of whether there are one or two sections or the order of information. Given that the parties and the representatives are one and the same, you won’t be confusing anyone by using “Between”. Although even in this case you need to be mindful of the phrasing. However, normally when there are two sections with headings, the agents come first. In this case, when the parties are not representing themselves, it’s probably better not to use “Between + And” for the reason stated above (i.e., to avoid confusing the representatives with the parties). You could use “Between + And” in the second section (i.e., in Intervienen), but doing this will usually break the flow of the text and doesn’t follow what you normally see in English contracts (i.e., with “Between” up first). Thus, when there are two sections and headings, you might be better off using the transparent solutions discussed in the next section. The point here is that the actual translation doesn’t matter as these headings don’t exist in English contracts. We just need to use something that tells the reader what is going on that doesn’t lead to any confusion. Confusion in this case might be that a reader thinks that the representatives are the parties or that they can’t understand why so many people are being introduced. You will, of course, end up using similar translations for these headings. However, the key is to be flexible. I find that I have a couple of different options depending on the structure, details and the order of the details in the source contract. Be prepared to use different translations for the headings and also to change the order within the paragraphs so that any equivalent headings you use like “Between + And” make sense. To be flexible, you need to distinguish between form and content (discussed in this post). Indeed, translating the introductory clause is a good example of why it’s important to make such a distinction. If you see the text too rigidly (as a uniform sea of terms without distinguishing between form and content), you will tend to look for set, correct translations for each term. If you rigidly stick to the same translations, in some cases you may end up with misleading translations for some of the form or functional elements. When you distinguish between form and content, this shouldn’t happen as you will know when to concentrate on just rendering the details accurately and when the function or job the terms are doing is more important. This post has been really helpful for me, thanks. But I can’t figure out how to handle this in notary documents when it refers to the comparecientes. Just like you talk about in your post, the comparecientes in these documents are not always the same as the “parties” to the transaction. They’re the agents, the representatives. Sometimes I’ve used “appearing party” (but now I think this is a confusing mix) or “appearing person”. Also, I see that Louisiana law has “appearer”, but it only has 10,000 hits in google. I had thought of “signatory”, but that would also include the Notary. I had also thought about the “individual representing the party”, but I thought it might be an overtranslation. Or the “individual acting herein”? I have used “appearing party” or “party appearing” in the body of the document but I try to avoid it as it sounds a bit awkward. Depending on the document, the “compareciente” might be referred to as something else throughout, too (the buyer, owner, beneficiary, etc.). In those cases, I often replace “compareciente” with that other name. I’ve also used “appearer” and like it better than “appearing party”. Only for notarial documents, though. It’s very formal, but I think it’s OK for this type of document as it appears to be used by English notaries. I know West in his legal dictionary says “appearer” doesn’t exist in English, but you can find it used by English notaries on the Web. Take this page for example: http://www.parkerarrenberg.co.uk/notary.htm I’ve also got a book by a Spanish notary and Spanish and English lawyer, Javier Pérez-Manglano, which uses “appearer” in sample documents at the end of the book. So I’d go with it for these formal documents. I agree that “individual acting herein” is too long-winded and “signatory” is probably misleading. Great. Thanks a lot for your answer! That’s helpful. Don’t forget the common extensions to the parties of ‘de una parte’ y ‘de la otra parte’ > of the one part and of the other part. (Best not leave out, as some translators do) vs. of the first and second part – which in UK vs. US-Am and Canadian law would imply a third and more parties joining in e.g. of the third and fourth part to a purchase deed of unregistered land. PS the term of appearer is an accepted term used in the ‘Notary’s Bible’ of Brooke’s Notary (Sweet & Maxwell). I do actually leave “de una parte/de la otra parte” out, although always clearly showing how many parties there are and making sure they’re properly referenced throughout the document. Yes “appearer” is definitely an accepted notary term in England and Wales. Just keep in mind you can only really count on notaries being familiar with it.